What If your phone won’t turn on or has a black or frozen screen? Learn what to do, if your phone won't turn on, or has a black or frozen screen. •Remove your phone's third-party protective case if there is one, for that might not precisely match the size and spec of your phone, thus block the optical sensor and lead to a black screen. If your Realme phone has a removable battery, remove and reinstall it, then try again. •Your phone might quickly get warm when its screen is black or frozen. Place it in an open and cooler environment and away from direct sunlight to avoid damage caused by overheating. 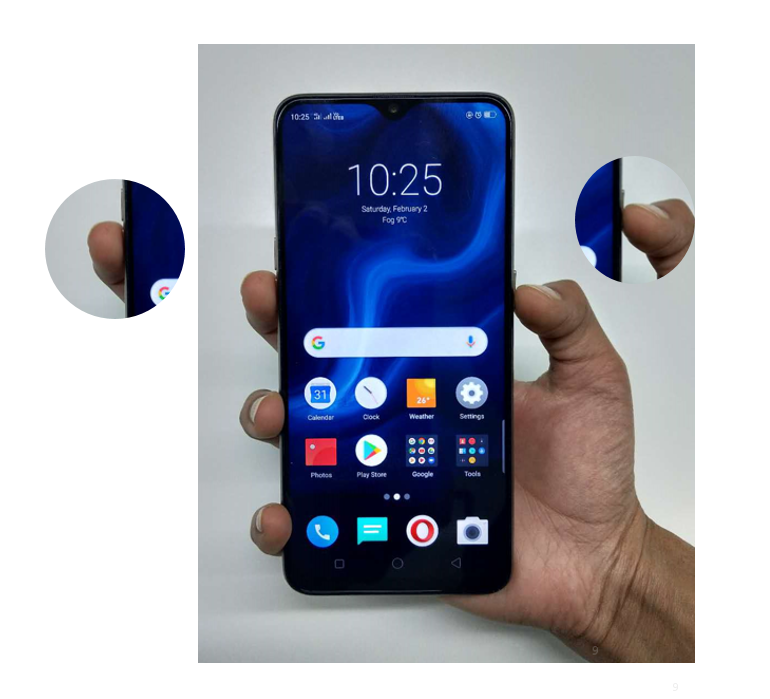 •Press and hold both the Power and Volume Up buttons for at least eight seconds, until you see the realme logo. Note: A force restart won't erase the content on your phone except those are broken or invalid. Learn what to do if your phone cannot be turned on. 1. The first thing you need to do is plug in your phone and let it charge for up to 30 minutes, then try again. 2.Press and hold the Power and Volume Down buttons for at least eight seconds, until the phone enters Revocery Mode to update your system. 1. It is recommended to follow these steps to keep your phone in good condition. 2. Periodically clear caches and scan viruses in [Security Center] or [Phone Manager]. Uninstall APPs that are unnecessary or have bugs. * ColorOS 2.0: LONG PRESS menu key and then click "End All". 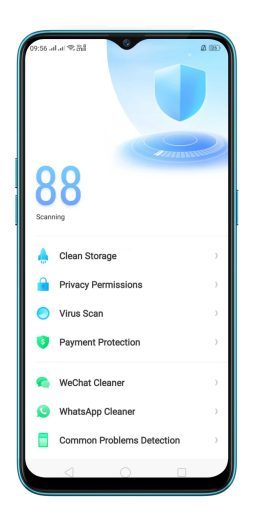 * ColorOS 3.0 and above: TAP menu key and click "End All" to clear the Apps. * DO NOT disassemble or root your phone, these operations will void the warranty service.